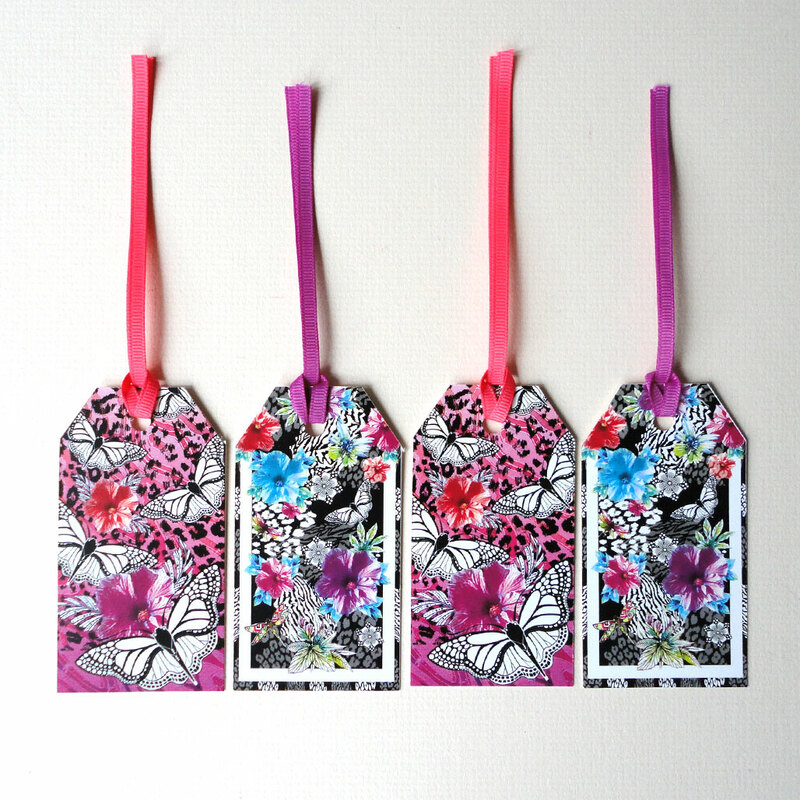 The Tropical Skin range of four gift tags will certainly make a statement on any present! 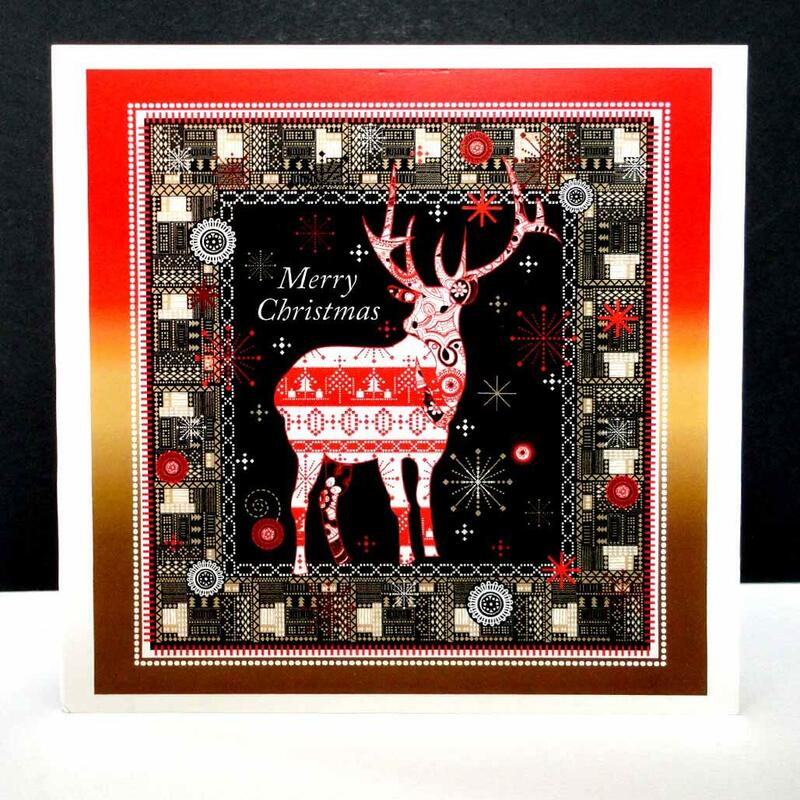 Featuring black with hot colours and animal print on two designs, it has that fashion edge and perfect to accompany monochrome wrapping paper. 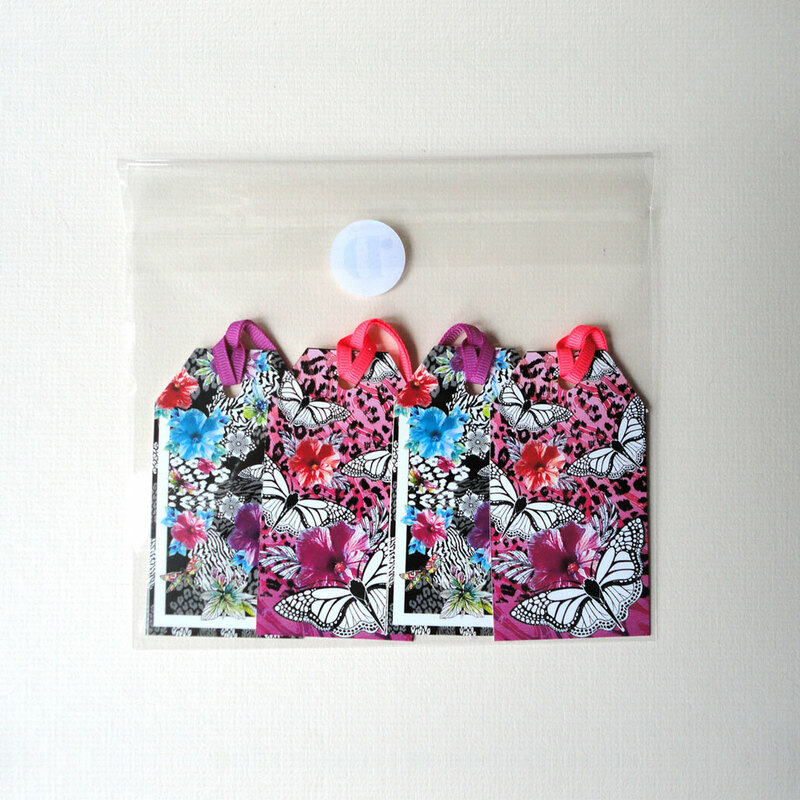 The Hot Skin design has a bright pink ground with a black skin print, tropical flowers and perfectly detailed black and white butterflies. Finished with a red-pink grosgrain ribbon. 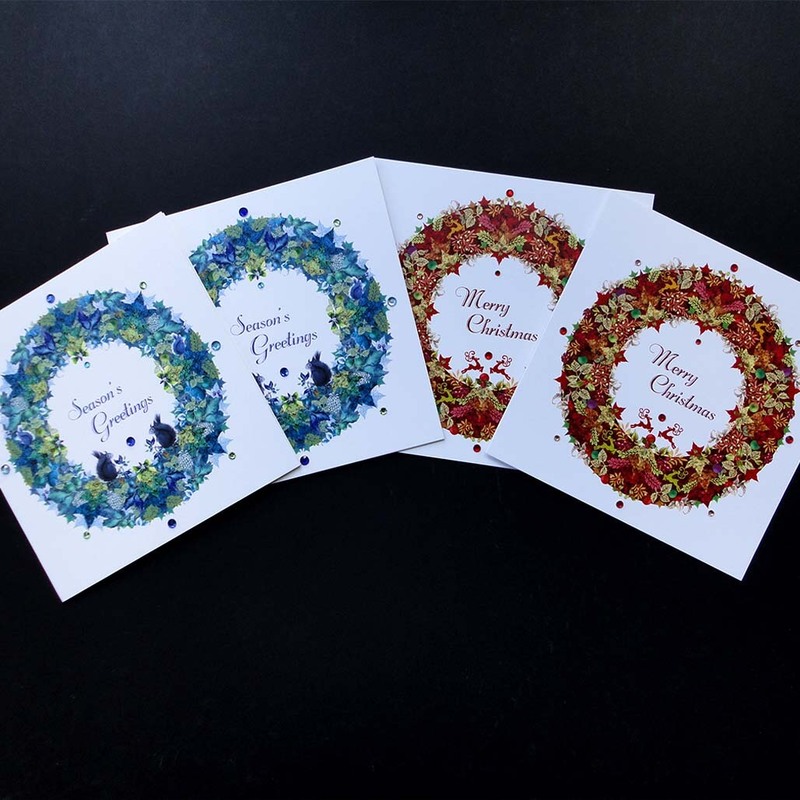 The full design is also on greetings cards and an A3 art print. The Skin Tropique design has a black background with a white frame and skin print mixed with exotic flowers, leaves and butterflies. 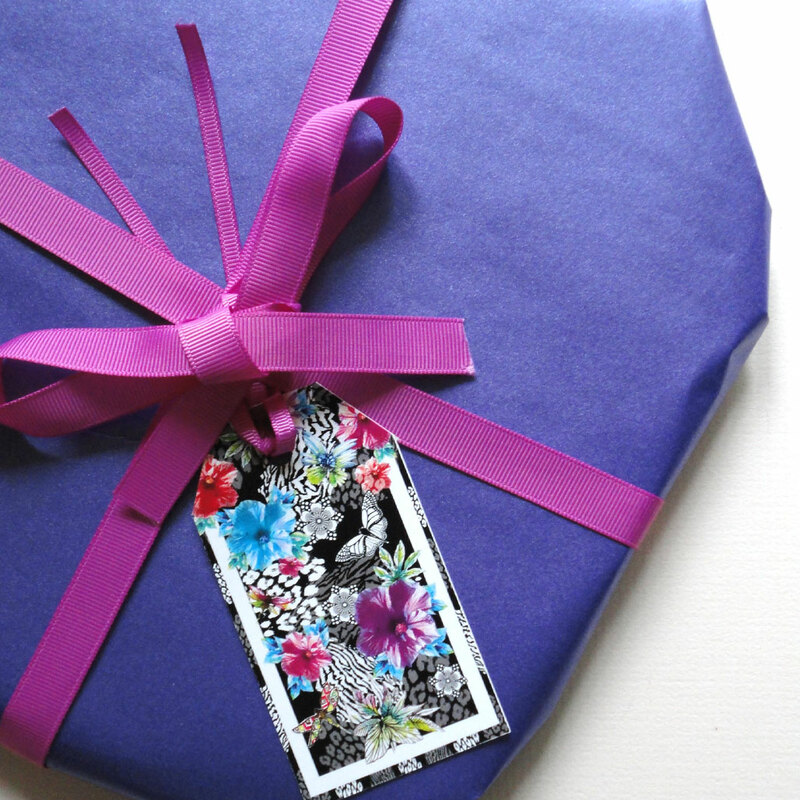 Finished with a pink grosgrain ribbon. 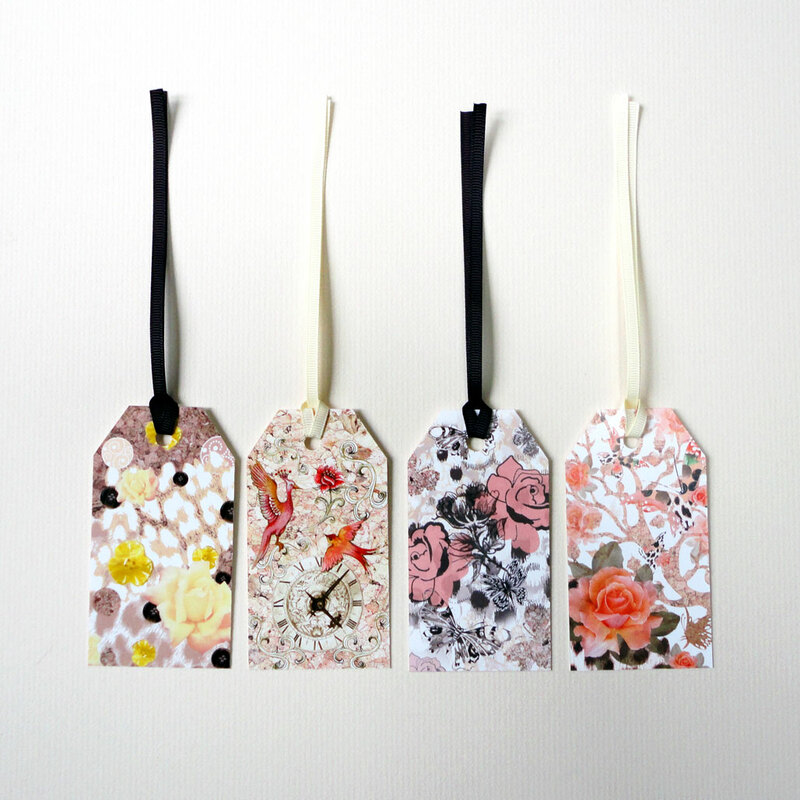 This design is also on greetings cards, mouse-mats, plastic mats and A4 art prints. 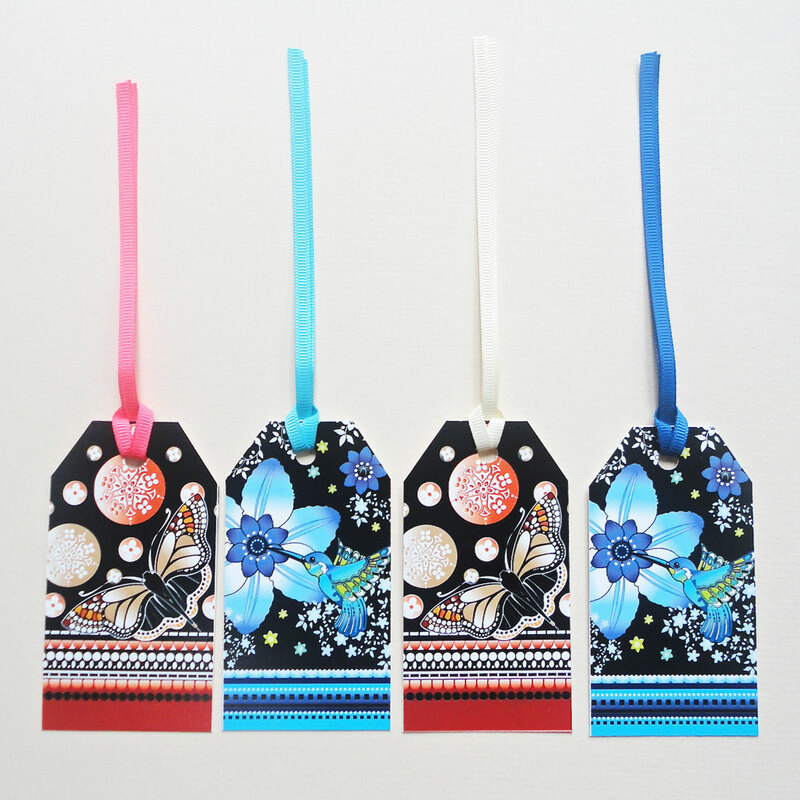 Pack of four tags, two designs two of each.